World Fusion pioneer, Randy Armstrong has appeared on more than 40 albums and film scores, at Carnegie Recital Hall and festivals at Lincoln Center as well as sharing the stage with such music greats as Dizzy Gillespie, Fatoumata Diawara, the Paul Winter Consort, King Sunny Ade, Eddie Palmieri, Babatunde Olatunji, Michael Hedges, Richie Havens and others. The dance students learned two traditional dances from West Africa. KuKu and Yole are both celebratory dances performed primarily in Guinea. The GSAA dancers performed KuKu and Yole to the live drumming of Randy Armstrong and the GSAA music ensemble class. from 5 different regions of Ethiopia. discuss the elements of at least three of the songs on the album. This work will be done with the use of audio, video, and sheet music. I will also be including two hort lectures by Paul Simon on his concept of world music and the incorporation of the African music and players in the recording of this album. The class will learn a song called Homeless by Joseph Shabalala and Paul Simon. Mr. Shabalala is the lead singer of Ladysmith Black Mambazo and the students will watch/hear several performances by that group.The chorus will sing the song along with a track from the Graceland album. The group will do a master class with Randy Anderson on Thursday and Friday. They will accompany the dancers at the Friday performances. During the first three days of the week they will be learning about African musical ensembles. it. We will plan a performance of this at some future point for the day care kids next door. In Science, we learned about Lucy, the remains found in Ethiopia that provided information into the evolution of humans. 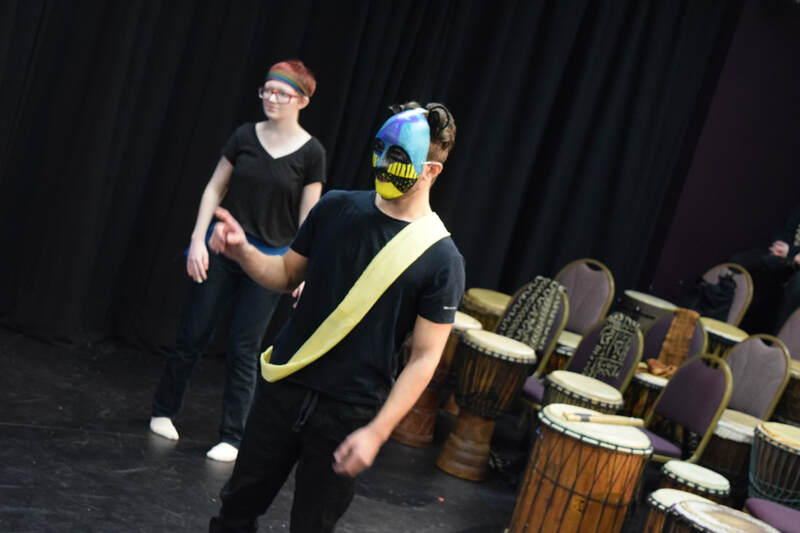 Mr. Viau's Intro to Theatre classes studied West African folktales about a trickster character called Anansi the Spider. They originated in Ghana, and later spread through more of West Africa, the Caribbean, and southern United States. We rehearsed and performed a 30-minute children's play that's a recent English-language adaptation of some of the Anansi stories, called "Anansi, the Clever Spider" by Claudia Haas. Mr. Sharlow's Fundamentals of Art we looked at West African Masks and used these as inspiration for designing paper machete masks, several of which will be used by the Theater students for the "Anansi the Spider" play. 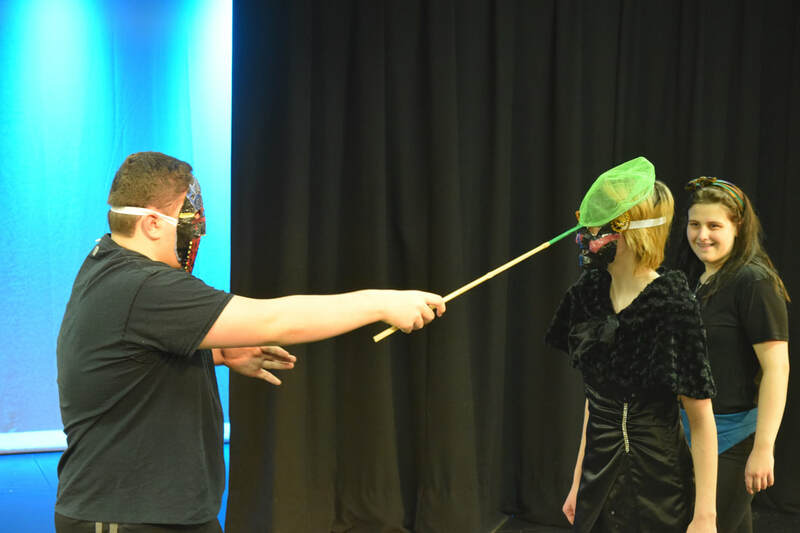 Mr. Viau's World Drama course studied the social, cultural, and political issues that were prevalent in apartheid-era South Africa, and read a protest play from the Johannesburg Market Theatre in the early 1980's called "Woza, Albert!" The play has only two actors (who play a wide variety of characters, also engaging in mime, song, and clowning) and minimal staging. It imagines what would happen if the second coming of Jesus (called "Morena," which means "Lord" in the production) were to occur in apartheid South Africa. What would he see? What would he do? What would the government do? The students did a staged reading in class, and wrote an essay on the play's political importance. Drawing & Painting students learned about rain sticks from Madagascar and Kenya. They constructed rainstick that will be used by the dance students in their African inspired dances. Advanced Studio: Personal Voice and Independent Art students studied art from a region of Africa and created a piece of art in response in the media of their choice. In Fundamentals of Art we looked at West African Masks and used these as inspiration for designing paper machete masks, several of which will be used by the Theater students for the "Anansi the Spider" play. The math classes researched African mathematicians and present their findings to the class. My Geometry class worked on a parallel city project. They had to design the map of a city using parallel lines and transversals. A portion of the city had to have something to do with Africa. My Algebra 2 class did a linear programming project. The items that they are selling had to have something to do with Africa. For example, one group sold guitars made from the wood of trees found in Africa. As part of this week’s cultural study of Africa, students in Miss Peterson’s English classes studied either Steve Biko or Nelson Mandela two political activists from South Africa. As-salamu a’laikum, Habari, Selam That is how we say hello in Arabic, Kiswahili and Amharic respectively. This week in Spanish 1, 2 and 3 we learned Greetings and Introductions in Arabic, Kiswahili and Amharic and created a language book with all of the greetings and phrases. We also plotted all of the languages of Africa on a map of the continent and its countries. We learned the continent of Africa has 54 countries and an estimated 1,500-2,000 languages. Swahili is the most widely spoken language native to Africa. Swahili is the official language of Kenya, Tanzania, Uganda and the DRC. Amharic is the official language of Ethiopia. Amharic is written in script. There are over 80 languages of Ethiopia! We had the pleasure of having Hana McMahon and Aberash Baisley as guest speakers in our Spanish 1 Class, speaking to us in Amharic, talking to us about Ethiopia and African Culture. Thank You Hana and Aberash! This week in PE we played the most popular sport in Africa - soccer - known as football in Africa. We learned that Football was introduced into Africa more than 100 years ago by the British, Belgian, French, and Portuguese colonialists. It is popular among African Natives because it does not take much money or great resources to play. Often times balls are homemade from twigs and twine and goal-posts are rock or tree branches. Today, more than 100 footballers from all over Africa play on first division professional soccer teams in Europe, South America and in the United States. We had a chance to see in action the top 10 greatest African Football Teams of all time and the top 10Greatest African Footballers of all time. In Nigeria, 83% of the population is interested in football, topping the chart in a world data survey. The second and third most popular sport in Africa are Cricket and Rugby. Lastly, we learned about the various types of daily physical activity for children and teens, such as jump-rope, kick the empty milk bottle, dancing, gym and spin the wheel and tire. about Sports in Ethiopia and Africa and Ethiopian and African Culture. This week in Health Class we educated ourselves on the Physical Health, Public Health, Community Health, Occupational Health, and Environmental Health of Africa. We studied the contributors to HIV/Aids such as poverty, as well as lack of education, cultural barriers, access to medication, geographically remote areas impeding with accessibility, and medical under funding. Our class participated in an activity simulating the transmission of HIV. It was eye opening to see how easily a disease can spread due to At-Risk Behavior and other contributing factors. We also learned about Tuberculosis and its deadly relationship to HIV/Aids. Lastly, we tested our knowledge on HIV Facts & Myths. For Africa week the sewing classes decided to make reusable sanitary pads. We found out that young girls are not able to go to school because they do not have any feminine products to use. We found an organization that provided the pattern to use and will ship the completed items over to Africa. We created an assembly line to try to make as many as possible. We completed 50 of the "Sanit-Pantis" to be mailed to Africa. There are another 20 pads that are incomplete that several students are working on completing. The first 50 will be shipped out by the end of this week. We are hoping the organizations will let us know where they were shipped to. Performed a statistical analysis of a variety of African Nations for items such as: Life expectancy, birth rate, infant mortality, # of doctors, GDP, and literacy. The classes also studied major geographical features of the African Continent. Utilized the African Literature curriculum on Explore Africa website by Michigan State University. Learned the importance of the Oral tradition of storytelling in Africa. Read an interview with Vuyelwa Maluleke and Koleka Putuma, author who won the PEN SA Student Writing Prize utilizing both photography and videos with her writing, something not common in South Africa. Watched and used as source material several films about the state of mental health in Africa. Learned there is a special stigma for many in Africa &quot;...tied to mental disorders...In the sub-Saharan region...deeply rooted in cultural beliefs...that some communities make between mental disorders and witchcraft. Near constant guerrilla warfare horrors in much of sub-Saharan Africa has created a huge need for mental health care for the people who have survived them. Obtaining mental health care is a huge struggle with fledgling national governments that are economically and politically challenged Even wealthier nations like Nigeria only have about 1 psychiatrist per 1,000,000 people. From our study and research each student wrote an essay on: o What they think the 3 major issues are providing mental health care in Africa. 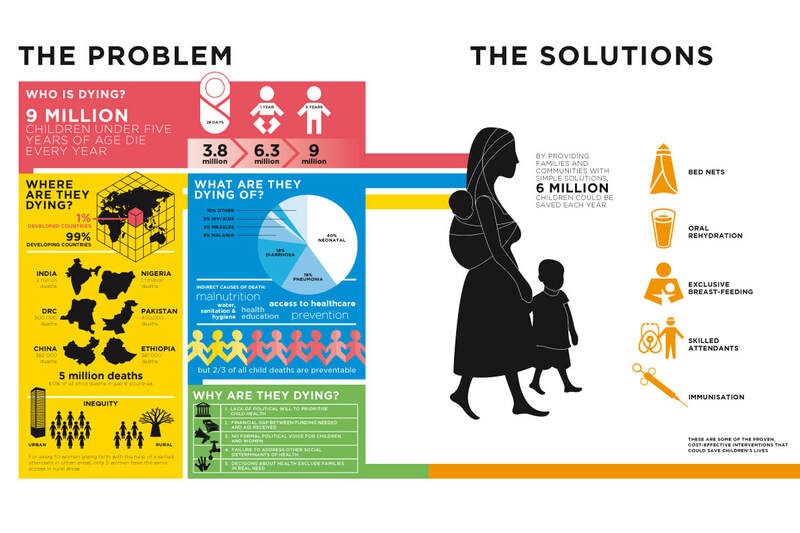 Propose solutions for each of the 3 issues identified. Discussed several other works from source material, including the Suubi Collection, several other short stories and an analysis of 3 poems. Read Folktales and Katie Gustafson read the short story: Black Power-Guernica by award winning author: NoViolet Bulawayo. Students had the opportunity to compare their recently completed short stories with the writing styles of African authors’ writing styles to which they are not normally exposed. Discussed the challenges African writers have getting published and acknowledged for their work compared to writers in wealthier western countries. Utilized some of the Explore Africa curriculum for African Literature. Assigned to watch: Ancient Wisdom of African Folktales-acknowledging the oral tradition and Griot performers that have been important to many of the cultures in Africa as a way to pass along wisdom through folklore was studied. Examined 25 African Proverbs that have been used to pass from elders to the young easy to remember pearls of wisdom to use throughout life during challenging times. At the suggestion of Jillian Guillmette, we combined visual arts and interpretive text into the analysis of a student-selected poem from an African author of their choice. Utilized the Explore Africa website's Geography curriculum. Learned that much of Africa is a varied and rich environment supporting agriculture, mining of rich metals and minerals as well as petroleum and diamonds. Numerous lakes and rivers that provide the continent with ample fresh water, though pollution is an issue throughout Africa. Large deserts exist in Northern (Sahara) and Central (Kalahari) so resources are not spread evenly. Students also learned there were at least two strong empires that co-existed and traded with the ancient Egyptians. Some African scholars believe the Nubian Empire provided some of the lineage of the Pharaoic Dynasties beginning in the 18th Century B.C. Their connection to the all powerful sun god named Amen or Amun has some interesting parallels with Judeo-Christian- Islamic theologies. Students completed the exercises in the curriculum.